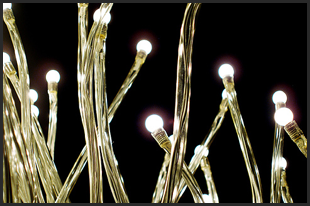 Experienced electrical contractors & electricians in Woodbridge, Suffolk. Aaron Nobbs Electrical Ltd has been providing a range of general and specialised electrical services throughout Suffolk for over a decade. Our high level of knowledge throughout all types of electrical installations means we can provide electrical solutions for a wide range of situations. From small domestic electrics to large scale agricutlural and event lighting, we're passionate about making your electrical requirements a reality.